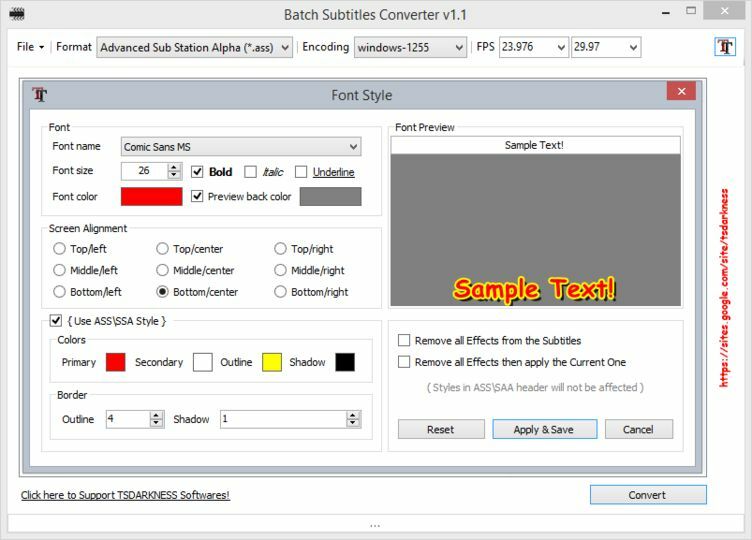 Batch Subtitles Converter is a tool that you can use to convert between subtitle formats. It's a simply GUI utility that can convert more than one subtitle file (including subtitles in MKV files) into 100 subtitle formats. You can also make adjustments to the subtitles, such as changing them to fit with a different frame rate. Simply drag and drop your source subtitles into the application.